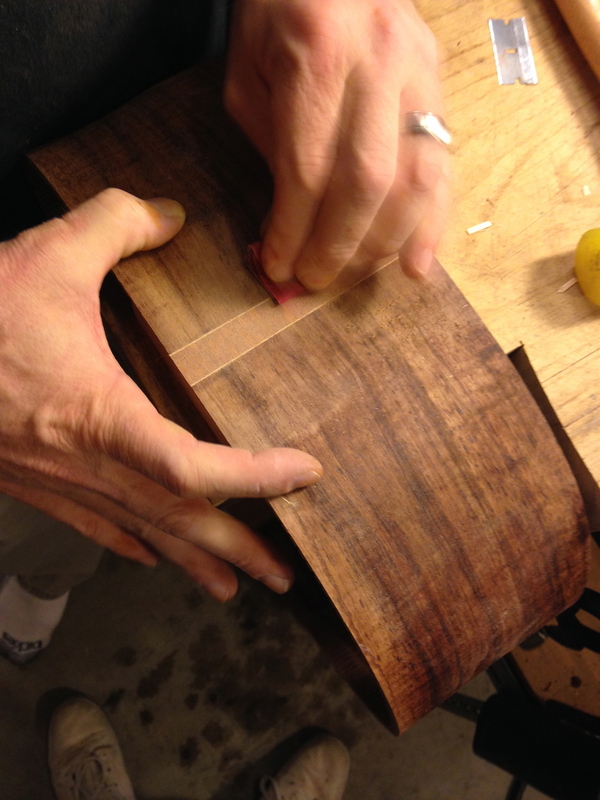 Earn your Certificate in the field of Lutherie as you build a top shelf guitar (One on One) with Luthier Brian Hawkins. Dive in to an intense 20 day course while you build a beautiful Acoustic guitar completely from scratch (this is NOT a kit guitar course). As anyone who has taken this course will tell you, you will build yourself a top shelf guitar that would be worthy of bearing my name. With a mix of traditional technique and modern technology, you will build a guitar that is sure to become an heirloom. With specific one on one instruction you will learn as much in 20 days as your brain will allow. 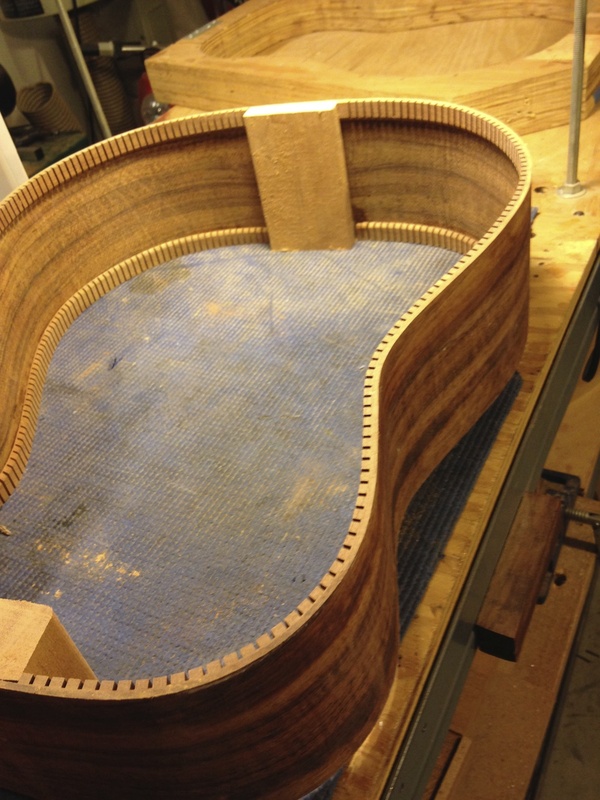 You will build your guitar completely from scratch, not from a pre-made kit. If your goal is to work in a guitar factory then this course is NOT for you. If you want a solid foundation and a clear understanding of tone wood, how sound works and what it takes to build a Top Shelf guitar then THIS IS THE REAL DEAL! Tuition is $5995 and includes the premium materials that you will build with. A $1500 deposit is required. If you are not from the Virginia Beach area then you will also need to book a place to stay. Hawkins Guitar is only about 5 miles from the Virginia Beach ocean front and we can help you find the place that is right for you. If you would like to discuss this further or if you have any questions then email Brian or Call him at (757) 214-2278. Don't have multiple days in a row to spare? No worries, many of our students come to class once a week and some even show up once a month. You can pay as you go and if you find that building guitars is not your thing you can stop at any time without penalty as we do not require contracts. If you would like to secure your enrollment you can make your $1500 deposit here. Learn to build guitars from a master guitar builder. We teach well beyond the basics.